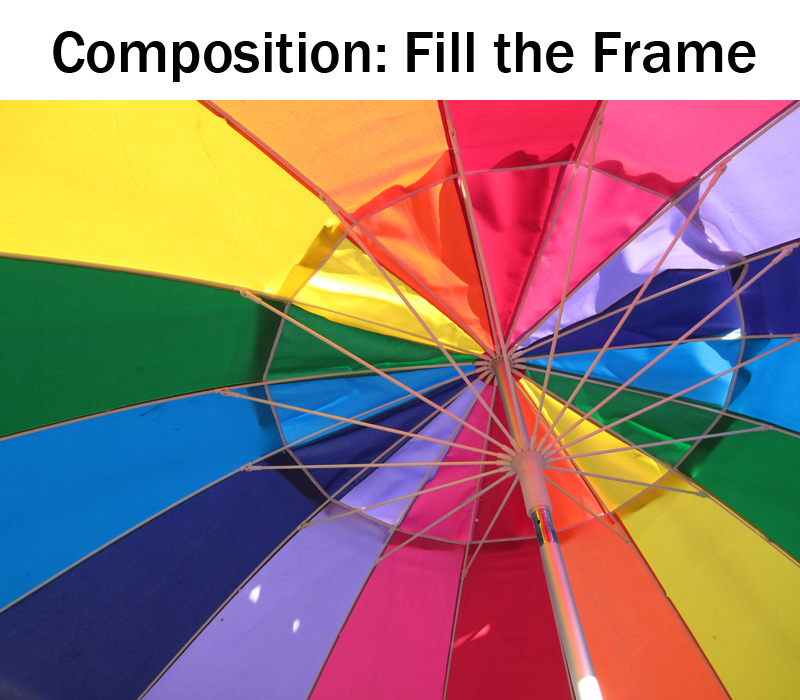 The concept of "Fill the Frame" is the third composition topic this month for the Boost Your Photography: 52 Weeks Challenge. (Join the Google+ Community to share your weekly photographs and receive feedback.) The previous topics this month were the Rule of Thirds and Leading Lines. What is the Frame and Why Fill It? Here, the frame refers to the edges of your photograph or the edges of the viewfinder of your camera when you are shooting. The advice to fill the frame means to get in close, to make your subject a significant portion of the final photograph. This advice is articulated in a lot of different ways, most recently in the admonishment to beginning photographers to "Get close. Then get closer." (This particular wording featured third in the recent article The Most Valuable Photography Tips Ever on Digital Photography School. Check it out for some other great composition and photography advice.) As Valerie explains, "Photographers tend to leave too much ‘stuff’ around their subject. The viewer gets lost in the chaos and doesn’t know where to look. Less is often more." Once you think you can answer those questions, compose and take your photograph. Then get closer, whether by zooming in your lens or moving yourself physically closer with your feet. Take another photograph. Compare the two and see whether filling the frame made a difference for your composition in that situation. A good tip for whether you have filled the frame - does your subject spill out of the frame and beyond the bounds of your photograph? If so, then you are truly beginning to fill the frame. The following collection of shots walks you through the process of identifying a subject and then continuing to explore that subject photographically while trying to consider filling the frame. 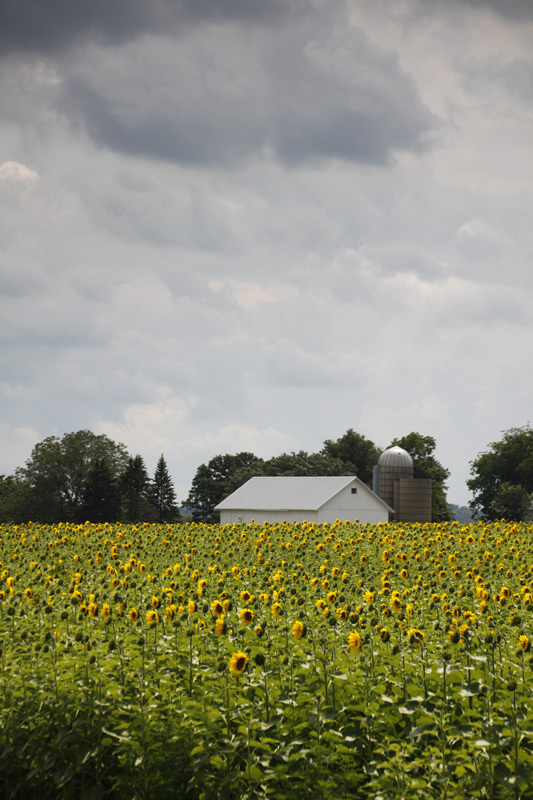 My initial impulse after encountering this incredible field of sunflowers was to get the wide angle shot above. This photograph establishes the context of the subject - the farm house, the size of the field, and the darkening clouds in the sky. 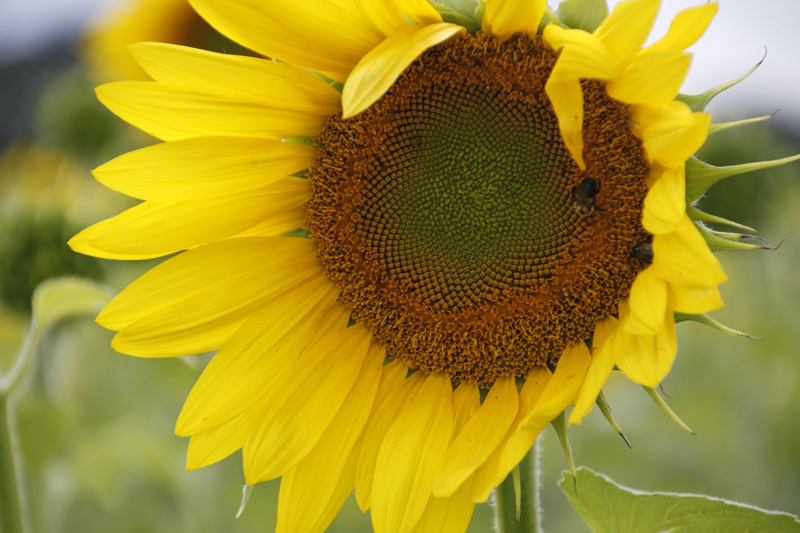 The sunflowers themselves, however, are only a small portion of the entire image. Now to think about filling the frame. Yet there was still closer to go. Now my zoom lens was racked out to its farthest focal length (270 mm), and the center of the sunflower so filled the frame of my viewfinder that it spilled off out of the frame on two sides. 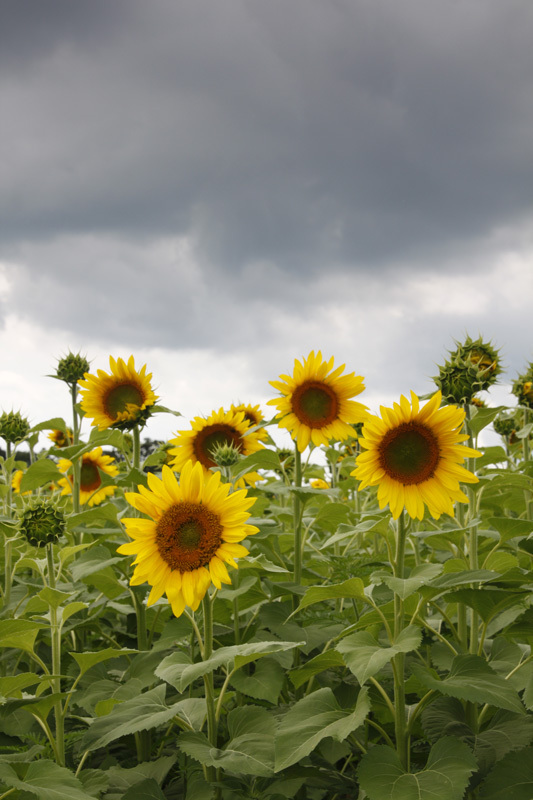 My subject was no longer 'field of sunflowers' or 'group of sunflowers' or even 'sunflower.' 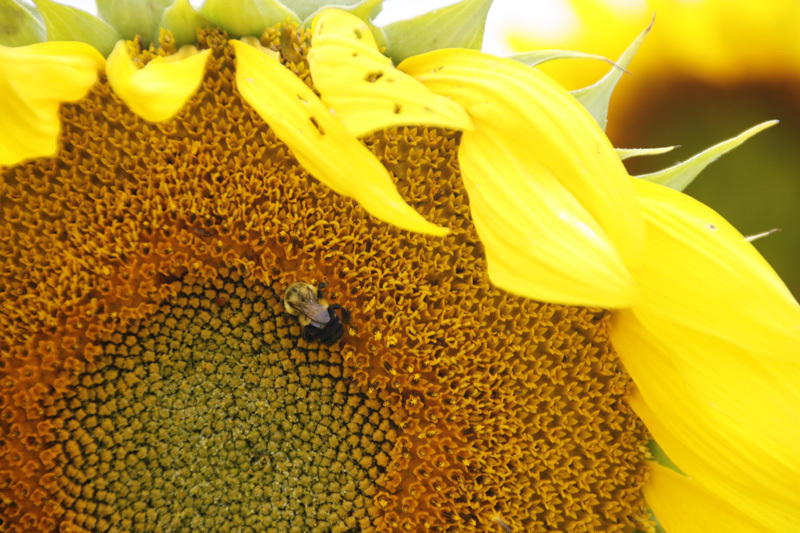 It had become bee and sunflower and pattern and color and more.